How Will Trump’s Health Care Policy Affect Employers? 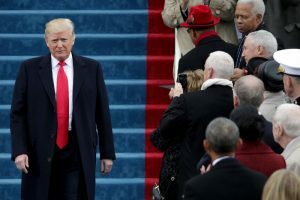 Now that Donald Trump has now been officially inaugurated as the 45th President of the United States, everyone is eager to find out what his presidency will ultimately mean for the health care industry, particularly when it comes to insurance. And possibly no one is more anxious to see how his policies will affect them than small business owners. At this point, there’s only speculation, and the only thing that’s certain is that change is imminent. Here are a few ways employers can expect to be affected by Trump’s policies. The ACA may not be repealed, but it may see significant changes. With the Republicans having control of both the House and Senate, it’s possible that there could be a total “repeal and replace” of Obama’s health care reform. However, a total repeal of the ACA would require 60 Senate votes, which the Republicans do not maintain. What’s more likely is that the President and Congress will use the budget reconciliation process to repeal specific portions of the law. For example, the individual mandate, Medicaid expansion, premium tax credit, and other taxes imposed by the ACA could be addressed. Popular reforms such as the ban on excluding pre-existing conditions, prohibition on annual and lifetime limits for essential health benefits, and coverage for dependent children up to age 26 are all likely remain in effect. Trump could reverse or rescind previous Executive Orders. Issuing new legislation can be a long and drawn out process, so it’s unlikely that the President will immediately focus his time on proposing new laws. Instead, one quick way to reverse Obama’s policies is to impose a moratorium on any regulations that have yet to go into effect. Leaders in the new administration may simply choose not to enforce current ACA provisions. Trump could also issue Executive Orders early in his presidency, many of which may rescind those issued by the former President. These could include the overtime rule, the fiduciary rule that affects retirement plans, and many other ACA rules. Regulations such as these could be completely repealed or subject to new rule-making by the various agencies affected. There are other health insurance issues worth keeping an eye on. While these are not likely to be immediately affected, there are a few other issues Trump addressed during his campaign that are worth monitoring. Here are a few. What should employers do in light of these possible changes? Well, nothing at the moment. Other than monitoring these and other issues potential issues in the days to come.